Are you tired of juggling half a dozen credit and debit cards in your wallet? I know I am. It would be great if a more convenient option were to overtake them, wouldn’t it? Well, that option may already be here. Payment alternatives such as the ever-more-popular Google Wallet Google Wallet Looks Beyond NFC And Is Now Available On All Android Phones Google Wallet Looks Beyond NFC And Is Now Available On All Android Phones The new Google Wallet app is a significant update because now it won’t be limited to just NFC enabled smartphones, but all Android handsets. The app is still U.S. only. Read More and its competitors like Apply Pay, Samsung Pay, and Android Pay Everything You Need to Know about Apple Pay, Samsung Pay, and Android Pay Everything You Need to Know about Apple Pay, Samsung Pay, and Android Pay Android Pay, Samsung Pay, Apple Pay all have their advantages and disadvantages. Let's take a look at exactly how each of them works and who can use them. Read More are all focusing on the mobile device as a payment facilitator. They work well but they aren’t perfect, which is why there’s a newcomer: the smart credit card. Have you heard of it before? 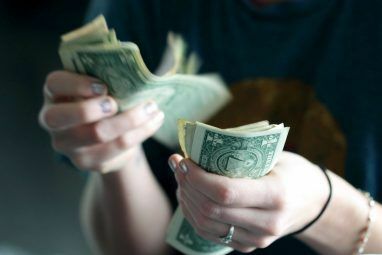 Not many people have, yet if all goes well, this new technology is set to overtake the throne as far as day-to-day transactions are concerned. Let’s take a deeper look at what this entails. The concept of a smart credit card is simple enough: a single plastic card that acts as an all-in-one payment utility. Never again will you have to deal with a fattened wallet with nearly an inch of plastic; one smart card is all you’ll ever need. What’s great about it is that it’s compatible with nearly all merchants who already accept cards. There’s a caveat to this, however, and it depends on the actual design of the smart credit card you use. Even though it looks like a single stripe, modern credit cards actually consist of two separate magnetic stripes that are stacked on top of each other. A card with both stripes will be compatible with all kinds of card readers, but a card with only one stripe does not have the same guarantee. At the moment, there are four main companies involved in the smart credit card market. Coin came first, but their card only utilizes a single stripe and is therefore incompatible with certain retailers. Plastc, Swyp, and Stratos came afterwards, but all three of them use double-stripe cards. On the plus side, no matter which card you use, it will be compatible with modern ATMs. An all-in-one credit card sounds awesome on paper, but there are logistical issues that may make you skeptical about the technology. To what extent are they “all-in-one”? How do you “configure” or “connect” smart cards with multiple payment options? Are they safer than regular credit cards? Let’s go through those questions. Smart credit cards have a built-in microprocessor, which means that they’re more like a primitive computer than a traditional credit card. This microprocessor can communicate with smart card readers over a Bluetooth connection How Bluetooth 4.0 Is Shaping the Future of Mobile Connectivity How Bluetooth 4.0 Is Shaping the Future of Mobile Connectivity Bluetooth is the forgotten star on the device specifications sheet. Read More . The smart card also comes with a reader device that plugs into your smartphone through the audio jack. Once connected, you can swipe any kind of magnetic card (e.g. credit, bank, or even gift cards) and they’ll all be stored on the smart card app. Then, the phone will transmit that new information to the smart card itself. As for selecting which card identity you want to use, the method differs depending on which one you have. For example, with Swyp, the card itself has a graphic display that shows which identity is “loaded”, along with buttons that you can press to cycle through the identities on the card. Plastc has a similar system to Swyp except you change identities by swiping across the graphic display. Coin cards have an LED display with a single button that allows for cycling. Stratos is the most limited since it lacks a proper display; only LED lights that represent up to four cards. When the identity of the smart card is switched, a signal is sent that re-magnetizes the smart card’s stripe to match the stripe of the actual card. Lastly, there’s the issue of security. Before a smart credit card can be used, you must establish an account and verify your identity with the company. This involves sharing the last four digits of your social security number and answering questions from your history (e.g. past addresses, loan disbursement dates, etc). Each smart card manufacturer has additional steps to protect your identity, such as only allowing cards to be loaded if they match the identity you’ve established for the smart card. Also, smart cards are “tethered” to your mobile device. If the distance between the card and the mobile device becomes too great (e.g. you left it at a restaurant), then the card locks and won’t resume until the relevant security protocol is followed, such as entering a PIN code. Should You Get a Smart Credit Card? At the end of the day, the real question is whether or not you should get one of these smart credit cards for yourself. Here are some final considerations you may want to take into account. First, price. None of these smart cards are currently available for retail. However, at launch, Coin will cost $100, Swyp will cost $99, Stratos will cost $95 per year (yes, a subscription), and Plastc will cost $155. It’s a hefty price to pay no matter which way you go. Second, ubiquity. 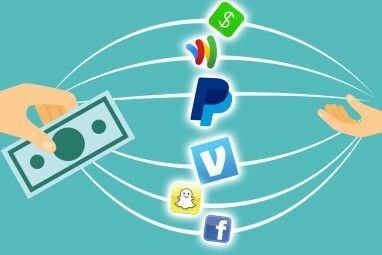 Mobile payment methods 7 Services For Taking Mobile Payment On Your Phone 7 Services For Taking Mobile Payment On Your Phone Tired of dropping off checks and cash at the bank? Good news - you don't have to. 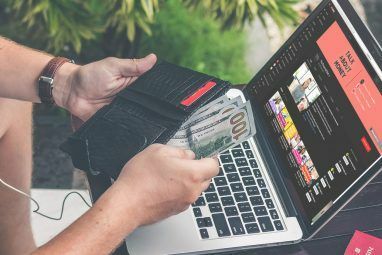 Read More are great, but not all merchants accept them and it seems that widespread adoption is still far in the future. Smart credit cards can be used anywhere that accepts card (except for Coin, which has slightly more limited reach than the rest). Third, single point of failure. Just like the master password for password managing software 5 Password Management Tools Compared: Find the One That's Perfect for You 5 Password Management Tools Compared: Find the One That's Perfect for You Choosing some sort of password management strategy to deal with the huge amount of passwords we need is crucial. If you're like most people, you probably store your passwords in your brain. To remember them... Read More , a smart credit card is basically the “master” for all of your other cards. If someone steals it and bypasses the security, they potentially have full access to everything on it. Fourth, unforeseen threats. Speaking of security, it’s too early to tell what kind of viruses and malware might crop up over the next few years. 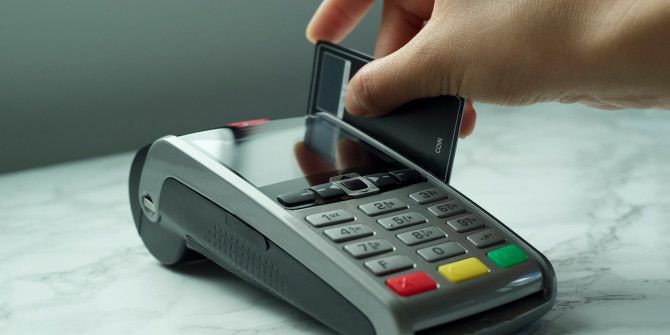 Anything that has a processor and can connect with other devices has potential to be compromised, and it’s likely that smart credit cards will be vulnerable in unforeseen ways. Fifth, future updates. Thanks to the foresight of manufacturers, smart credit cards can receive firmware updates over the air — meaning, when new features are developed down the road, your card can make use of those features without you having to buy a newer version. Sixth, smartphone dependence. Smart cards can’t be used unless you have a smartphone, and most functions require your smartphone to be near the card. This probably isn’t a big deal for most (we’re never separated from our mobile devices Are You Addicted To Your Smartphone? Are You Addicted To Your Smartphone? At one time, landlines and payphones were all we had--and we survived just fine, thank you very much. But now, it’s almost laughable if you don’t own an iPhone or Android, and for some of... Read More anyway, right?) but it’s something to keep in mind. All lot of these caveats can be mitigated with good security habits Change Your Bad Habits & Your Data Will Be More Secure Change Your Bad Habits & Your Data Will Be More Secure Read More , but risks can’t be eliminated completely. It’s up to you to decide whether the convenience and coolness factor outweigh the possible drawbacks. What do you think of smart credit cards? Are they the future or are they just gimmicks that will fade out in a few years? Will you give them a try? Tell us what you think in the comments! Explore more about: Credit Card, Future of Money, Money Management. These s.c. Smart Cards are; if they don't support chip; already outdated before they are released!. Why. In Europe the magstripe cards (the ones with a magnetic stripe on the back) are already on there way out due to the banks demanding chip cards and chip card readers. In the US this process is currently starting up and soon your bank will send you a chip card. I know these cards have a magstripe still. but you will not be able to make payments on lots of places using chip readers if you combine these chip cards in one magstripe smart card. The bank or collector handling the payment will know you have a chip card for this account and will demand that card for the payment. I don't see; looking at the internal structure of a chip card; how they will be able to fit more cards into one chip as this will be violating the security wanted by the banks. I'm sure there will be obstacles going forward, and yeah there is a chance that this technology will fizzle out before it has a chance to become really popular, but I think it'll be exciting to see how it plays out. Can the manufacturers work together with banks and credit companies to find a solution that works for everyone? I hope so! I love the idea of these smart cards, but I've always felt they lack a real problem to solve. While something like Apple Pay saves me from having to get my wallet out, something like Coin would be in my wallet anyway — so why wouldn't I just grab the card I want to use? With that said, I also don't carry a lot of cards, and I use one for 99% of my purchases. Maybe I'm just not in the target market in that way. Yeah, you probably aren't the target group. I have two debit cards and three credit cards, so a smart credit card would save me a lot of space in my wallet! What about the cards with chips on them? Isn't that the future of credit carts? I wouldn't necessarily call them the "future" of credit cards. More like an enhanced credit card. Smart credit cards actually introduce an innovative step forward with the all-in-one design.